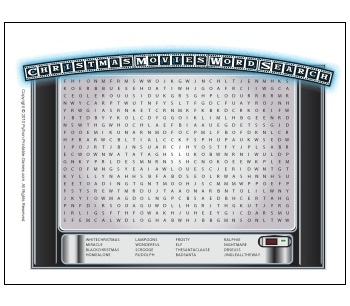 If Printable Christmas puzzles are on your “to-do” list, then check off that particular entry with one high-value find! This lovely pack of from Python Printable Games has something to suit all age groups. If you're especially looking for kids' puzzles, then the pack has you well covered, without overlooking teen to adult players. 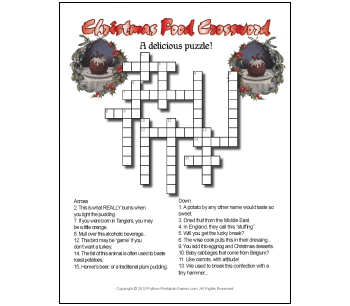 There are five printable Christmas crosswords: one just for kids, one for adults, a Christmas food crossword, Christmas movies crossword and Christmas songs crossword. 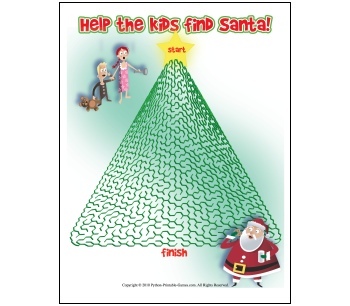 Included in the pack are three maze games: Help the Kids Find Santa, Christmas Tree Maze and Christmas Snowflakes maze. Finally come four printable word search puzzles: Snowman Seek and Reindeer Word Search for kids, and Treats for Christmas and Christmas Movies word search for older players. 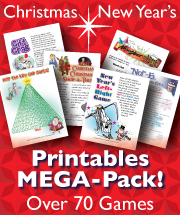 This pack represents fabulous value at only $6.95, but if you were also hoping to check off party games, trivia, gift exchange, teenage ice-breakers and Christmas coloring pages, then consider buying Python's printable Christmas and New Year games MEGA-pack. 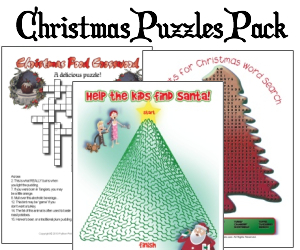 Over 70 printable games and activities, including the contents of the Christmas Printable Puzzles pack, for just $19.95. Download, print and play. Your entire holiday entertainment has been taken care of! Thanks Python!